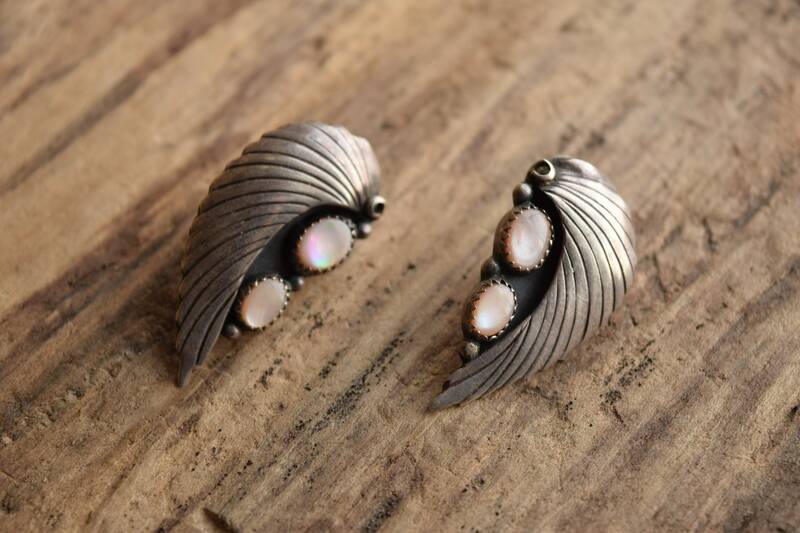 These southwestern beauties are a fabulous addition for bohemian and western lovers. 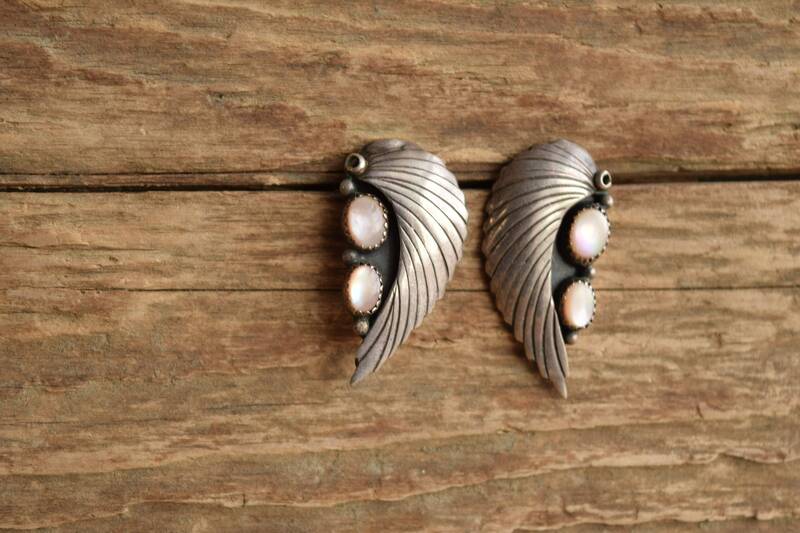 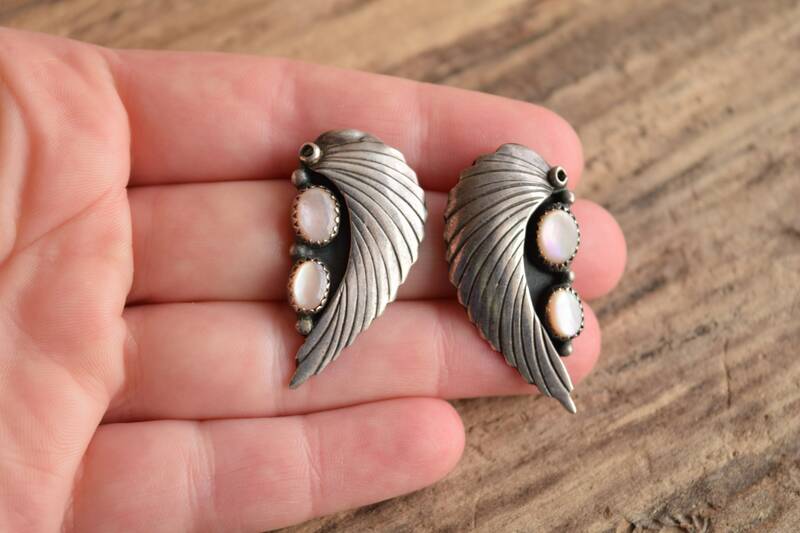 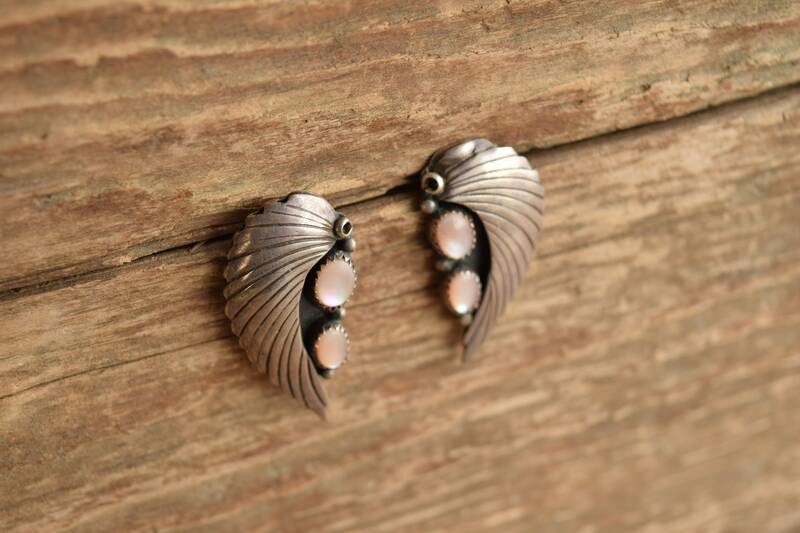 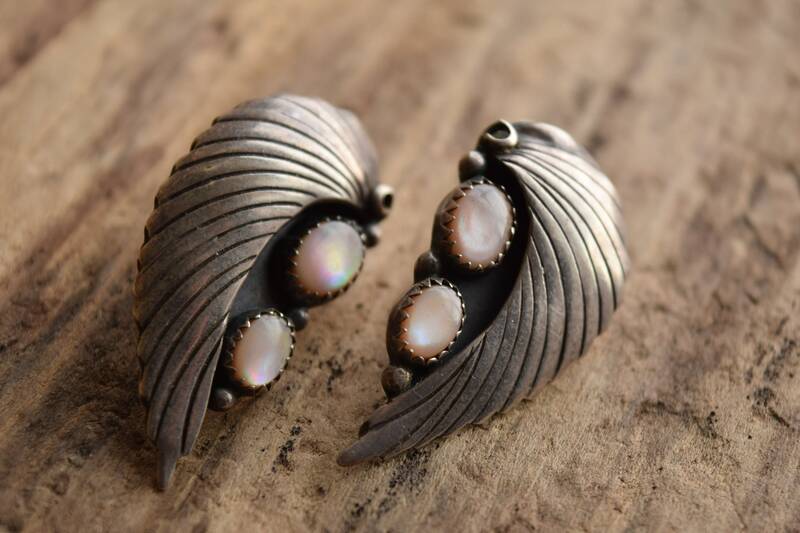 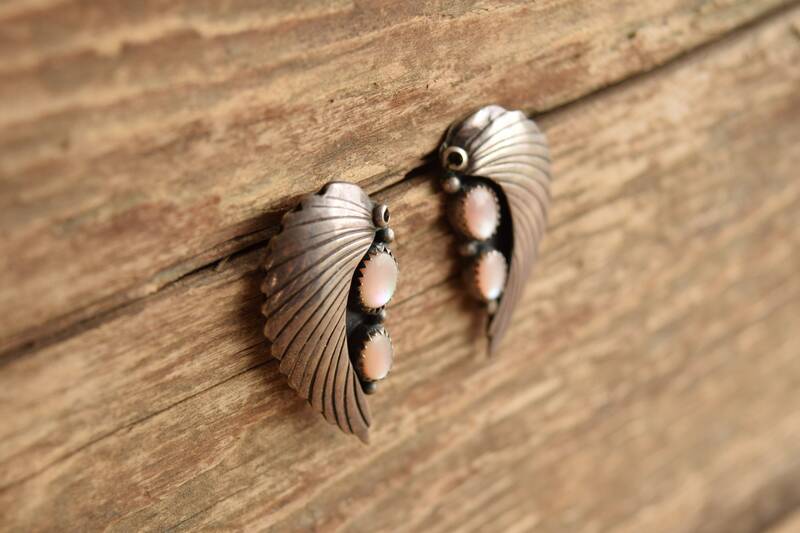 They each have two mother of pearl cabs, showcased against a large sterling silver leaf design. 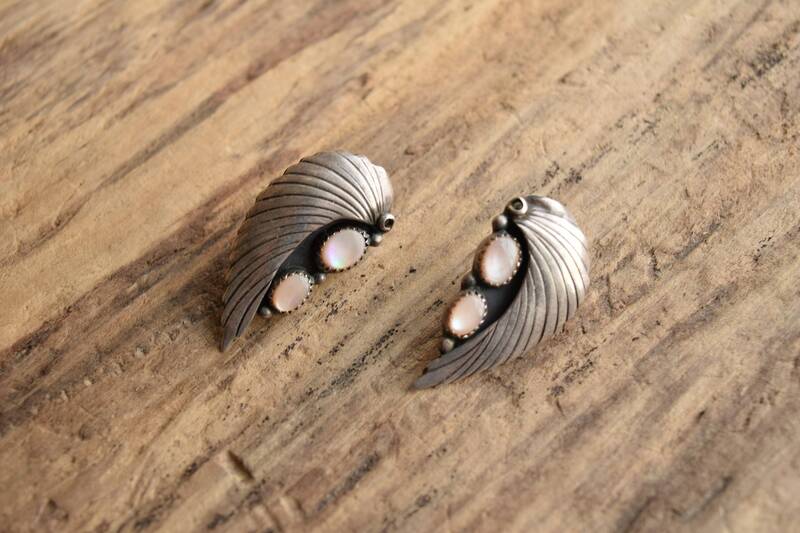 Condition: Good condition. 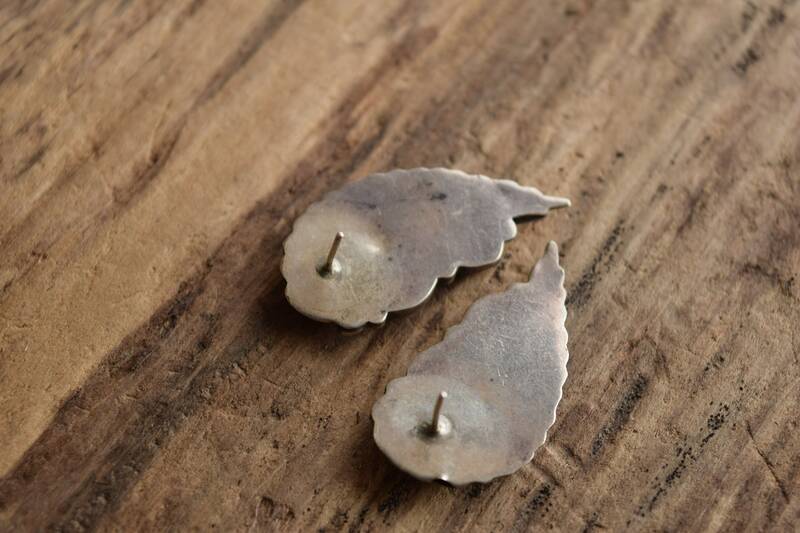 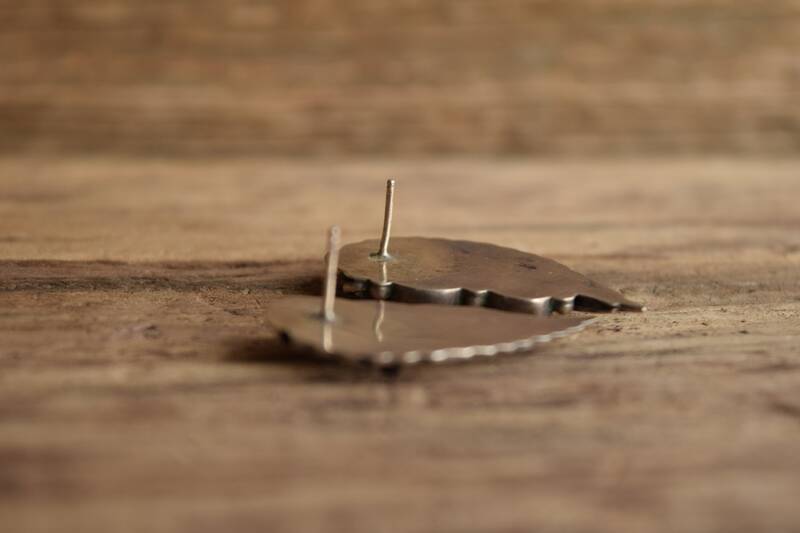 Light surface wear, some dents on the surface, but overall beautiful rugged sterling earrings.